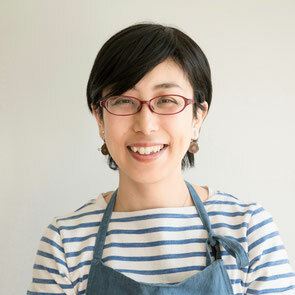 Chef Machiko Tateno is an expert in cooking with fermented foods, a menu consultant, and Registered Dietician. After spending seven years as a supervising dietician at a hospital, Chef Tateno attended cooking schools in Japan and Ireland -the latter, the world-renowned Ballymaloe Cookery School- to learn cooking approaches that emphasize the qualities and characteristics of ingredients. Later serving as the Executive Chef of Roppongi Nouen, Chef Tateno now focuses on home-style Japanese cooking with particular attention paid to the use of fermented foods. She develops recipes that are both delicious and easy to prepare, and has written and co-written several books on Japanese cooking.